Opening reception was on November 27th from 5-7 pm. For Chinese guests who came all the way from Changsa and Hangzhou to Gangneung, the opening was led by Mr Kim in Korean and Chinese. 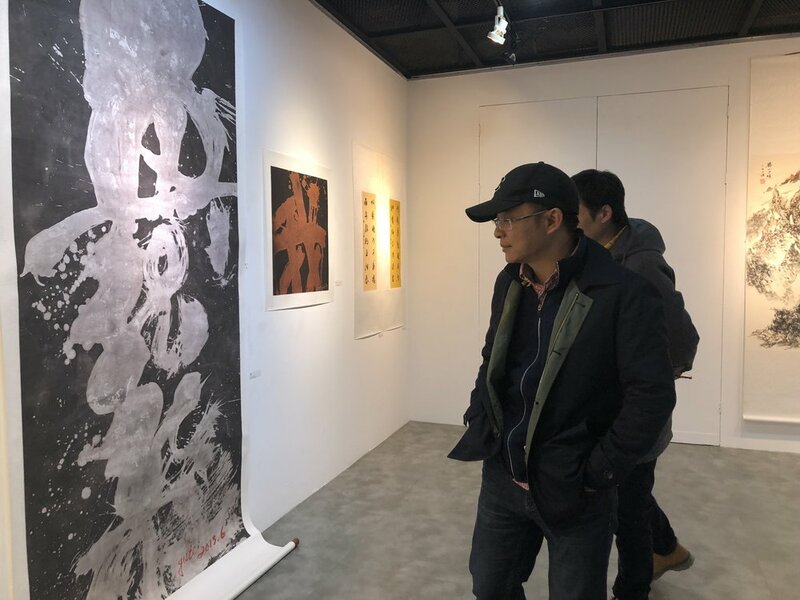 It was great experience not only for audiences, but also for Korean as well as Chinese artists to enjoy each other’s works. After the opening, we all went to have dinner together at Gangneung local seafood restaurant. 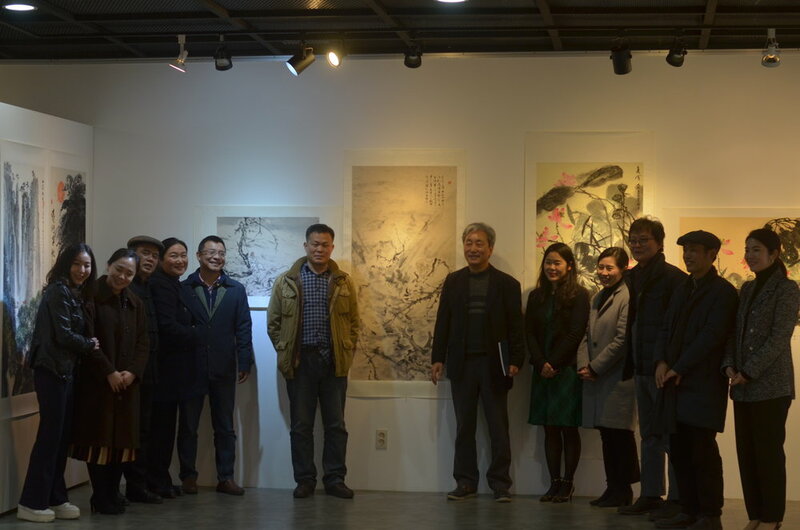 Korean ink painting workshop was run by Bo Mi Kim, one of the participating artists. 15 students from age 4 to 10 participated in the workshop for almost 2 hours. The students created great works! 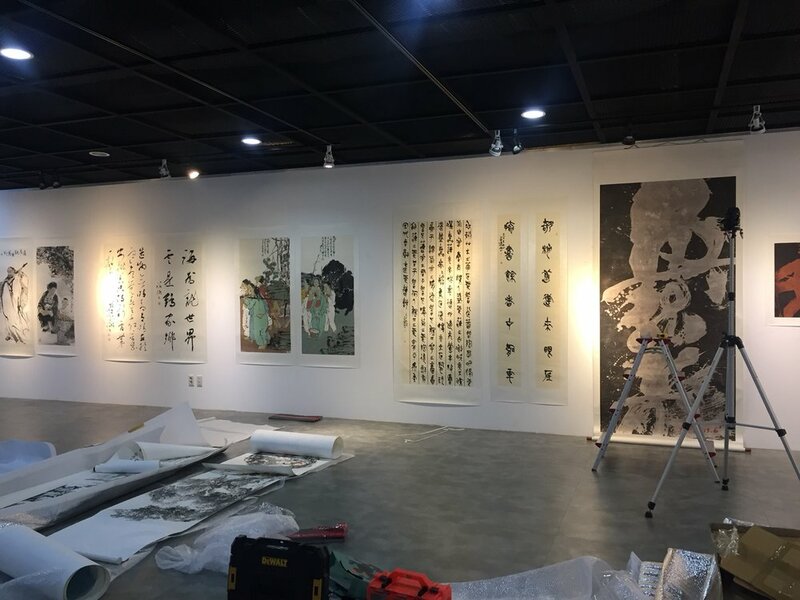 After some practice, they made their final works on Korean traditional roll paper framed in beautiful silk. 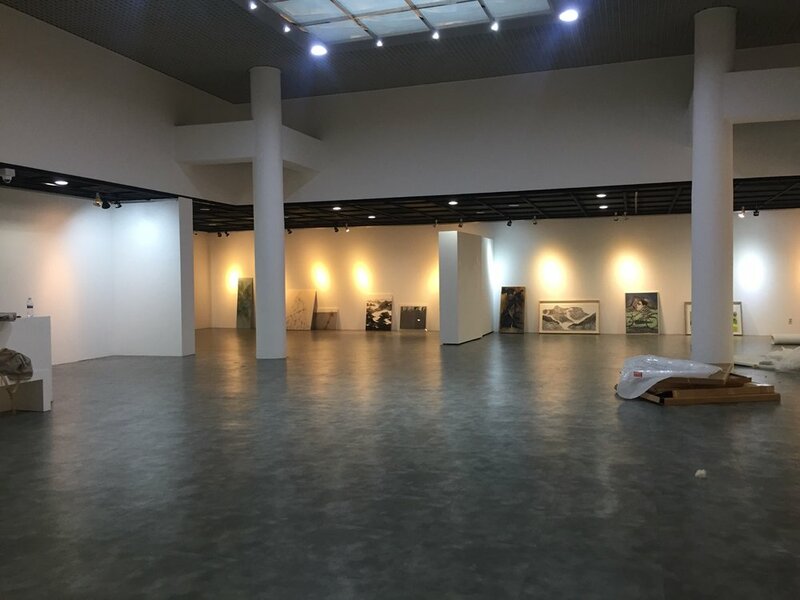 Before starting to paint, the students looked around the exhibition. This is Bo Mi Kim, the instructor’s section. 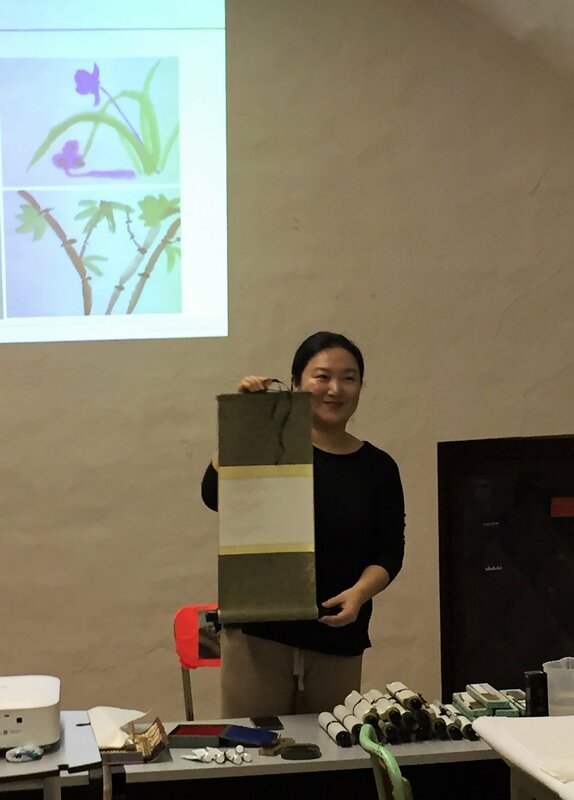 Ms Kim demonstrated how to paint using Korean ink and brush that the students didn’t experience before. Ms Kim and assistant teachers helped some students who felt difficult to start. 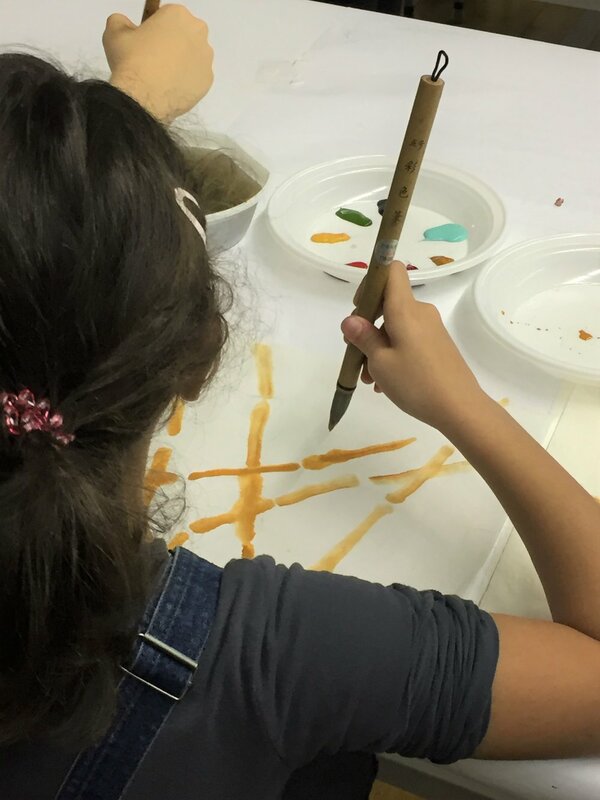 It was amazing to see how they can quickly and creatively paint using new materials. After a few practices, the students received this traditional roll paper to paint on. These beautiful ink paintings are done by the little artists! They brought them home and hung on the wall. One of the parents emailed us saying how much her daughter loved the workshop and now enjoying her work. 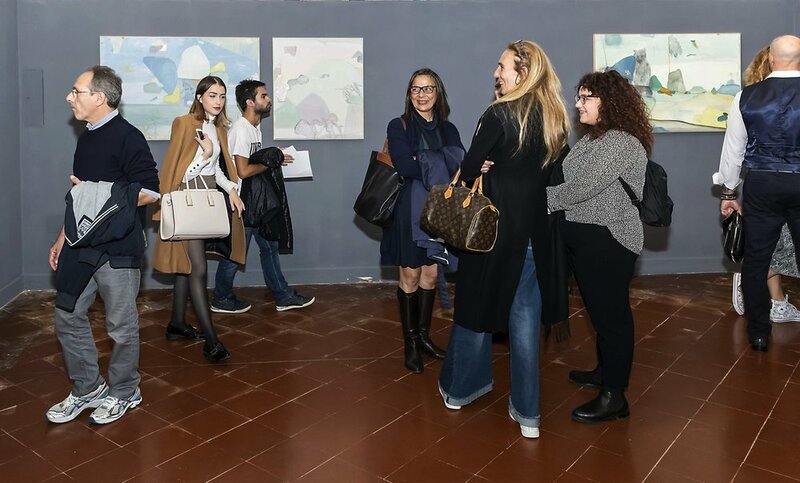 Opening reception was held from 5 to 7 pm on 27th of October. 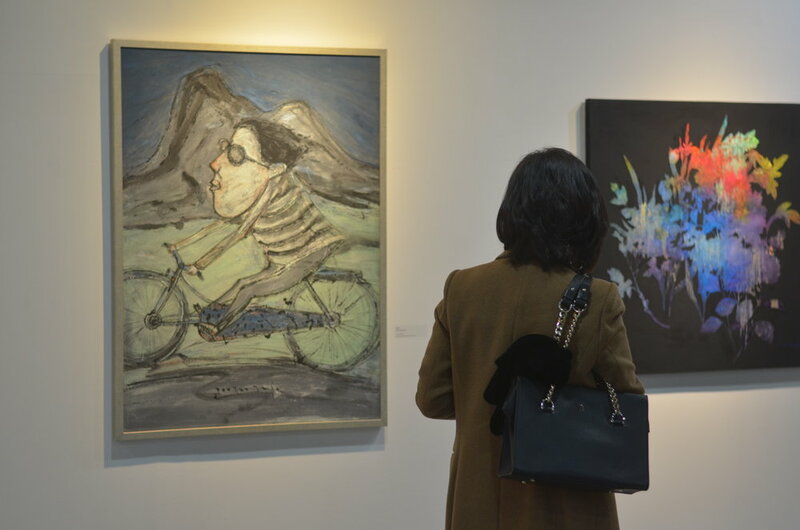 Hundreds of people in the field of art as well as local citizens visited. 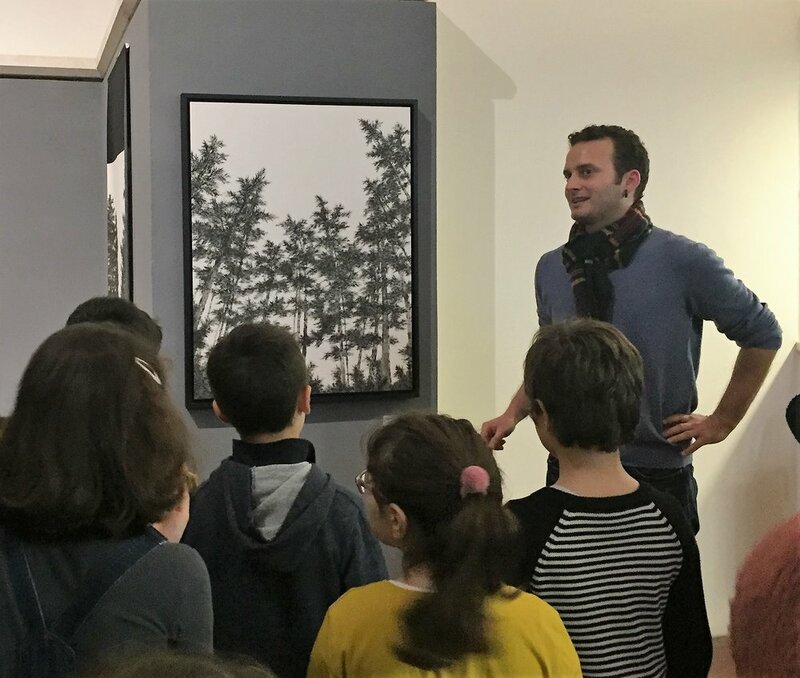 They were surprised and at the same time very happy to see contemporary artworks at the National Museum of Ravenna since the museum mostly focused on archaeology and ancient artifacts.